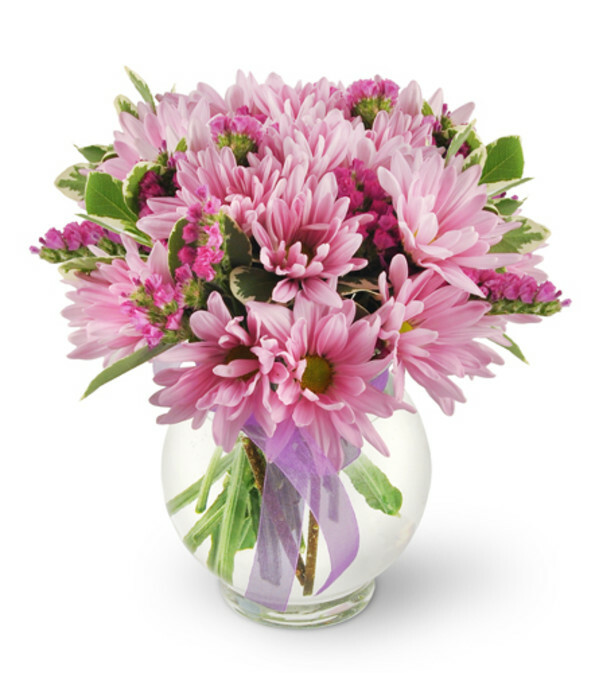 For anyone who loves pink and purple hues, our Happy Thoughts bouquet is a pure pleasure! 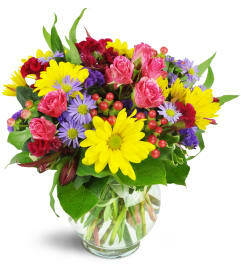 A bundle of darling daisies mixes delightfully with sweet statice to create a veritable symphony of tones! 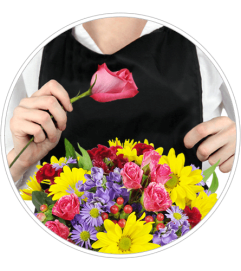 Send one to a sweetie, or help to instantly brighten up any room or office! Purple daisies and raspberry-hued statice in a footed glass rose bowl.